NAIROBI, Nov 2 2012 (IPS) - As Kenya gets ready for voter registration this month, ahead of the country’s Mar. 4, 2013 polls, women’s rights organisations are hoping that the provisions for gender equality in the new constitution will mean significantly increased representation in the government. Winnie Lichuma, chairwoman of the National Gender and Equality Commission, the body charged with women’s empowerment in this East African nation, is guardedly optimistic. “With regard to political representation in the current parliament, women are at only 9.8 percent, which is very low,” she said. She told IPS that the country needed to “wise up to women’s leadership” as it prepared for the general elections – the first since Kenya adopted a new constitution in 2010 that recognises women’s rights and makes provisions for their representation in parliament. Article 177 (1) (b) of the constitution seeks to provide a mechanism for the two-third gender principle at county level. The principle ensures that no gender shall exceed two-thirds representation in public, elective and appointive bodies. Lichuma said that the constitution’s provisions meant that the number of women represented at county level would increase overall. According to the new constitution, 47 counties will now replace the provincial and local government administration systems. She said that women would soon “be represented at the highest decision-making level of governance. “The campaign message for women is that they should come out in large numbers, register in political parties and take part in the competitive elective process. If they do not meet the one-third gender requirement, political parties will nominate women based on proportional representation by use of political party lists, as provided in article 90 (1) of the constitution,” she said. Voter registration is set to begin on Nov. 12. Q: Have there been any notable gains made by women in Kenya since the promulgation of the new constitution two years ago? A: First, I think it is a very unfair question to put to the women of Kenya. I do not think the same can be asked of men. However, I wish to note that women have been discriminated against for a long time and have been absent in the public sphere, their roles being relegated to the private sphere. Women have now benefited from the gender equality and freedom from discrimination principle in the constitution where they are now entitled to a 30 percent representation in public, elective and appointive positions. All the new public bodies, especially the constitutional commissions and judiciary, have paid attention to the two-thirds gender principle. The implementation of the two-thirds principle is an on-going process, however, and only after the next general election will we really appreciate its impact. Q: Clearly there is a huge disparity in the number of men compared to women in critical decision-making areas in both the political and corporate arena. Why is this? A: The answer is obvious. Historically, women have been locked out of the public sector. There has been very little effort made to increase women’s representation in the political and corporate arena. Socio-cultural barriers have worked against women and hindered their representation at this level. Sometimes women’s reproductive roles are used to deny them entry into the corporate arena. This is bound to change thanks to the constitution. 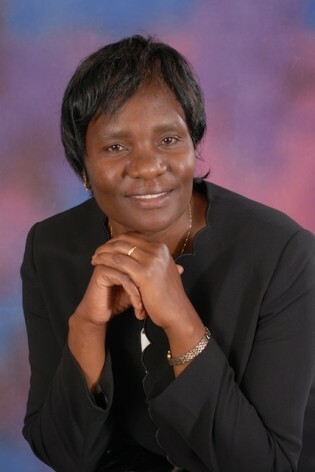 Q: Are Kenyan women ready to face their male counterparts in the upcoming political contest? A: Well, the law is on the side of women but many other barriers are still there. The barriers that women have experienced politically include ideological and social-cultural ones. (Women also have to deal with) violence, especially sexual-based violence, limited resources and the fact that the majority of political parties are in the hands of the male gender. Women also lack support from family members. In some communities clans have only endorsed male candidates to run, especially in the pastoral communities. Women are ready but these barriers, coupled with the male propaganda that seems to have convinced Kenyans that women can only run for the seats set aside for women, is a blow to female candidates. Q: There have been calls for countries to adopt gender-responsive budgeting, where public finance is planned with gender dynamics in mind. How does Kenya fare in its adoption? A: The commission has supported the Ministry of Finance and Planning to mainstream issues of gender in the budgeting process. It is somewhat challenging … We urgently need to strengthen the capacity of the officers responsible for planning and budgeting in sector working groups and at the planning and finance level. Guidelines on this also need to be well understood by all the players, and the commission has been looking at the process of coming up with gender-responsive budgeting guidelines. We are, however, still working to refine the tools that will be used in future budgeting. Q: Rwanda is said to be doing well in the fair representation of women in government. It is the first and only government in the world where women make up the majority of members of parliament. What can we learn from them? A: The key to their success is political goodwill. Rwanda’s President Paul Kagame is a firm supporter of women’s representation, which in turn has helped to increase representation of women at all levels of government including in political circles. Q: Does the Kenyan government have the same political goodwill? A: It is a gradual process but over time we are seeing many in the government warm up to the idea of fair representation for women.